The smartphone is becoming the ubiquitous and predominant tool for both self-service and assisted service. Join us on a compelling adventure that every contact center should plan for right now. I want you to join me on a journey to the land of the smartphone. I’m from Portlandia, so I’m going to call this (not the least bit mythical) land Smartphonia. 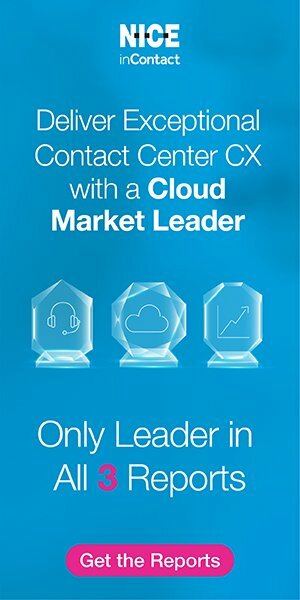 This is an incredibly exciting and compelling adventure that every contact center should plan for right now. I hope you will come along. When our team began our research and brainstorming for this article, a bit of a deflated feeling filled the air. Nothing much was new and we found little evidence of progress in tapping the power of smartphones. It reminds me of people who talk about the places they want to go but never seem to get around to making a plan. As an avid traveler, I say it’s time to do it! Of the three launch pads for customer interaction, landline use is declining, computer use is flat and smartphone use is growing. It’s not surprising. Most of us have a need for speed—the faster the better. A high percentage of customers place calls using their smartphones. But it’s also the likely place for them to start self-service efforts, whether in a mobile app or mobile web, or even just a Google search to find a phone number. If you offer it, text/SMS may be a great choice for making contact. If you build it, they will come! As I’ve written previously, the authentication process (or identification and verification, aka ID&V) is a major pain point for customers and centers (“It’s Time for a New Day in Authentication and Routing,” Pipeline, May 2016). Customers generally understand why they have to endure these steps, but they just want to get through it and move onto the rest of the journey. The smartphone can make this step less painful. At the simplest level, mobile phones make better use of automatic number identification (ANI) as they can uniquely identify an individual and avoid the issue of people calling from behind an office phone system. But ANI alone is rarely enough because of spoofing, fraud and other issues. So smartphone biometrics like Touch ID, movement and facial recognition can come in handy. Once users become accustomed to them, expectations rise. Smartphones can also support other forms of authentication, such as sending a driver’s license photo in the moment. And if a user has logged in to a mobile app or mobile web page first to attempt self-service, that authentication can be used for subsequent smartphone activities. Even when customers are not yet authenticated, once they place calls, voice biometrics within an IVR app can ease the ID&V process. As integration with smartphone capabilities increases, centers may use the accurate and intelligent speech recognition inherent in the device itself. This technology is tied to lots of data and isn’t limited by telephone line bandwidth or muddled by extraneous noise factors. Anyone touting omnichannel as a goal needs to make border crossings as simple as the European Union: no passports come out, the train doesn’t stop. You are in one country one moment and another the next. When a smartphone customer wants to “talk” to someone, that talk may take various forms. Intercept solutions can recognize it’s a mobile phone and offer up options supported by real-time information. For example, the caller may get a message on the smartphone display showing a wait time of 2 minutes. The caller can choose to wait or get a call back, or connect to a text agent right away. To ease border crossing, applications should leverage caller-provided information, tasks accomplished (e.g., mobile web or mobile app, authentication in phone, login, etc. ), what they were doing, and where they were doing it. In other words, anyone who has already gone through customs and immigration shouldn’t have to do it again! Just as no one wants to spend precious time backtracking from a wrong turn, nobody wants to get connected to the wrong person and endure transfers and repeating information. In addition, customers aren’t wild about listening to and responding to menus, even when they are speech; at best, they tolerate them. However, you can win them over when your menus actually work and get them to the right place, with the information provided. Smartphone journeys can make navigation much easier and more likely to lead to the right place. A visual IVR is one way to leverage your existing IVR (even if it’s old and clunky!) by presenting menu options on the smartphone screen. The interface can be easy to navigate while gathering additional information. With all the information available and provided, the system can route the customer to a properly skilled agent over the channel of choice. At the heart of any trip are all the experiences—sights, sounds, smells and tastes. Throughout contact handling, smartphone capabilities can optimize the experience. They’re a feast for the senses, much as walking through a colorful market (well, unfortunately, without all the great smells and tastes). One key value of the smartphone is easy channel crossing within assisted service options (e.g. to text/SMS, chat or call). Just like the border crossing from self-service, these channel changes can be simple in Smartphonia. Agents can co-browse with customers, like a concierge in a good hotel, guiding them to the best places to see and do what they would like to do. They can provide personalized service tied to all the information available. Agents can push information, links, photos, videos, etc.—all to enhance the journey (and achieve resolution and potentially prevent the next contact!). And if needed, agents can request more information, which the customer can readily provide (e.g., photos, video). All good things must come to an end, including great trips. In the smartphone journey, there may be follow up information or escalation required, and the key to satisfaction here is closure. Proactive updates via text/SMS, a call or apps (including social media) are ways that this step is facilitated by smartphones. If there is a particularly sticky issue that needs some back and forth, the agent and customer can easily send other requests and information through text messages, links, photos, videos, etc. And the smartphone may even facilitate an easy survey for “voice of the customer” afterward. Chances are they will rate their experience high. A good trip ends with family and friends wanting to see the pictures and hear the stories. Unfortunately, the outcome of the traditional contact center interaction is more often a rant; the equivalent of lost luggage, missed flights and tropical diseases abound! The journey in Smartphonia can be different. The user is delighted. It all went well with no travel snafus. It ends with a positive experience they can’t wait to tell others about. Time to get on board! Transform your customers’ journeys with the potential of the smartphone. For those choosing to use self-service, a mobile app or mobile web can fit the bill. The mobile web option is important because many users won’t download, retain or use mobile apps. But mobile browsers can also point people to apps, whether already installed or just offered. Visual IVR and “bots” with business rules and even artificial intelligence can make a self-service experience over the “phone” much better—both increasing the chance of closure and improving the routing if the user needs to go to an agent. And within self-service, applications may push information in a variety of formats, such as FAQs, links or video. None of these can be done successfully over a landline, but could be perfect for a smartphone user. Pew Research Center says 77% of Americans have a smartphone. Only about 40%-50% of U.S. households still have a landline. The Centers for Disease Control (yes, the CDC) tracks the numbers because they conduct many surveys. They now reach more people via cell phone than landline. 72% of Americans use a smartphone to access the Internet. 65% access the Internet via smartphone at least as much as by computer. Raise your hand if you like to use speech to text your friends and family; many of us are having asynchronous, converted voice conversations. We’re doing it for a reason: Speed. Humans typically speak 110-160 words per minute (wpm). We type 40-80 wpm (if we’re good). Most of us can only text much slower (no matter how good you think you are—probably in the 20-40 wpm range). And we’re doing it because it works. Accuracy has improved to the point that word error rates in tools like Apple’s Siri, Microsoft’s Cortana, Google’s Assistant or Amazon’s Alexa are at or approaching 5%-6%, comparable to human beings. Americans spend more minutes texting per day (26 minutes) than on calls (21 minutes) according to the International Smartphone Mobility Report by mobile data tracking firm Infomate. ContactBabel states callers can navigate visual IVR menus 4 to 5 times faster than using a traditional IVR.